If you have ever been audited by the Internal Revenue Service (IRS), it’s natural to feel like you have been singled out. It’s like getting pulled over for speeding. Regardless of your actions, you often feel like the authorities should be spending their time pursuing more important criminals. Despite your feelings, rarely are you being targeted by the IRS. Shockingly, the IRS admitted last week that they had unfairly and inappropriately targeted certain nonprofit organizations because of their beliefs and affiliations. For over two years, IRS employees signaled out conservative groups with names or verbiage including “Tea Party,” “Patriot” and “Obamacare” for additional scrutiny. 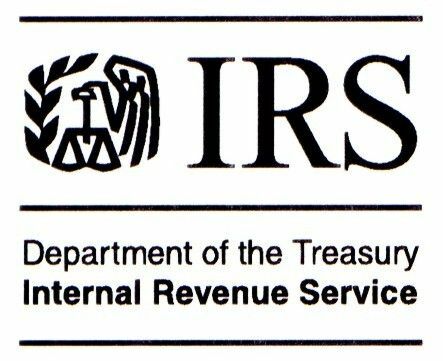 The IRS admitted this in advance of the pending release of a report by the Treasury Inspector General for Tax Administration (TIGTA) criticizing their behavior. The IRS claimed the targets were nonpolitical and initiated by low-level employees in the Cincinnati, OH Service Center. The additional scrutiny may not have been ordered by a political appointee, but it seems obvious the additional attention and inquiries were politically motivated. Over the past few years “Tea Party” has as much a political connotation as Democrat or Republican. Additionally, it doesn’t appear any liberal-leaning groups received the same scrutiny. As a result, it seems hard to believe the IRS actions were not politically motivated. It also appears the knowledge of this behavior went much higher than a few low-level staffers churning through documents in Cincinnati. Lois Lerner, the head of the IRS Exempt Organizations Division, found out about it in June 2011, and despite her instructions to change the review guidelines, the additional inquiries continued throughout 2012. In May 2012, Douglas Shulman, the IRS Commissioner at the time, and Steven T. Miller, his deputy and the current acting Commissioner, also learned of these targeted reviews. Both of these men failed to notify Congress, despite questions from several Senators and Representatives regarding the IRS scrutiny of these conservative groups. No matter your political affiliation or beliefs, this acknowledgement by the IRS should be of grave concern for all Americans. It’s an extremely precarious position when government officials at any level, abuse their authority for political purposes. Those actions are characteristic of dictators and oppressive regimes; not what’s expected in a free, democratic republic. You may not have much regard for the ideas and people affiliated with the Tea Party movement, but that should not matter. If the IRS has the ability to target them, they can also come after you. The IRS claims no exemption was ultimately withheld from any applicant. This reassurance is also subtle claim of exoneration for their actions. The IRS is essentially trying to assert “No harm, no foul.” Even though no exemption was denied, it doesn’t mean these organizations didn’t suffer injury. Given the complexity of the rules, taxpayers often hire professional advisors. These organizations may have incurred substantial fees complying with the additional IRS inquiries, not to mention the delay in being able to pursue their stated mission. The abuse seems limited to a certain group of employees handling a specific group of taxpayers and is not widespread throughout the IRS. If you receive an IRS notice, it’s probably not politically motivated. However, these actions, albeit limited, set a very dangerous precedent and deserve exceptional scrutiny by our leaders and the public at large. No one likes to be examined or questioned by the IRS, but it’s part of dealing with a voluntary tax system. However, no one should ever be targeted for political purposes. Dealing with the IRS can be annoying, but being targeted for your political beliefs or affiliations is absolutely wrong, and should be criminal.